Welcome Home! 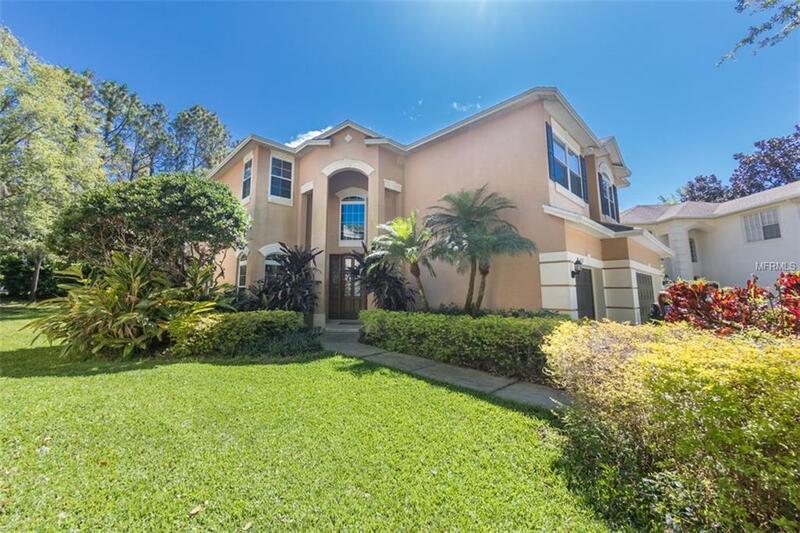 Stunning pool home with tons of upgrades! This gorgeous 5 bed/2.5 bath home with 3 car garage with lush landscaping welcomes you home to relaxation the moment you pull up. Step inside the grand 2-story entrance, & you will notice the beautiful tile floors throughout the home. Gourmet kitchen exudes class & elegance with granite countertops & high-end multi-level wood cabinets including pantry w/ pull out drawers. Stainless steel appliances include frost-free refrigerator w/ ice/water dispenser, dishwasher, double ovens (one w/ convection oven/microwave combo), Breakfast area off kitchen is a perfect spot to enjoy your morning coffee w/ windows that bring the outdoors in. Living Room with vaulted ceilings & wood burning fireplace opens up to a tropical oasis w/ screened-in patio perfect for grilling & entertaining guests, & lagoon style saltwater pool w/ relaxing water feature. Master includes luxurious En Suite Bath w/ double sinks/vanities, Jacuzzi tub & separate shower. Enjoy your favorite music inside or out from built-in speaker system. Hurricane windows. AC is less than 7 yrs. old, Newer roof less than 4 yrs old. Water purification system throughout house. Tons of closet space and storage throughout. Lansbrook offers waterfront park, boat ramp, docks, playgrounds, jogging trails and much more!